This year was the third year that I had butterflies in the classroom. I have found that it is a wonderful way for the children to observe the life cycle of an insect and for them to observe the changes that the insect goes through. Each morning as they enter the classroom, many of my students rush to the table where they are set up to see if there have been any changes overnight. Some will sit and watch the caterpillars (and later butterflies) for a while, observing their movements and looking at the way they are built. 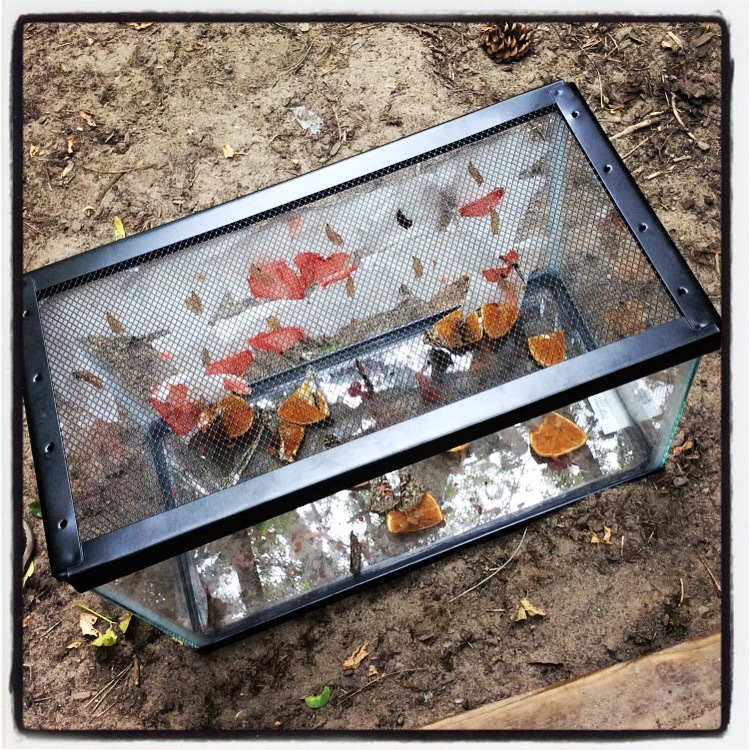 A few days after the butterflies have come out of their chrysalis, we take them outside to set them free. The children love watching them fly free. This year the butterflies would not leave quickly, giving the children a chance to hold them in their hands. The children were so excited to hold them, and were surprisingly gentle with the insects. This week I am grateful for butterfly kits as they enable me to bring a little bit of nature into my classroom. You are lucky to still have your father around. We can only appreciate our parents more when they are older – and each year they are still with us, is even more special. Colline, what a blessing you are to the children you teach. This is a marvelous project – science in action. The children are going to love it. The wonderful blessing of your words, and what you share from the classroom…that is a wonderful lesson for the children! As a teacher you are a blessing my sister! I enjoy working with the children and I love to see them respond so openly to their learning. That, for me, is one of my pleasures. Oh my, what a beautiful sight! I try to get the kit every year – the children love the experience.